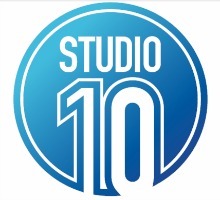 Studio 10 Daily Dilemma – Flexibility in the Workplace | John Caldwell – Chairman, Entertainment Reporter, Australian of the Year in Victoria 2014, Author, Film and TV producer. Read John Caldwell’s blog, see photos and keep up to date on the latest news. Official John Caldwell site. John Caldwell presents The Hoopla Daily Dilemma on Studio 10: "Does flexibility in the workplace mean "be available any time"?